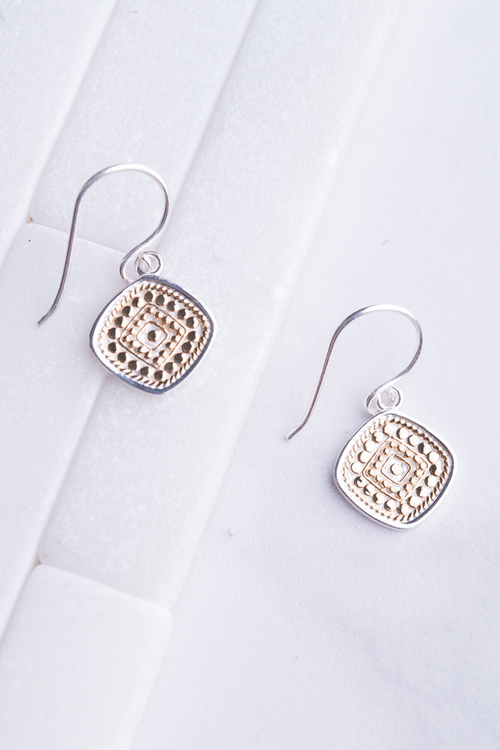 Gold-plated beaded cushion drop earrings with french wire and smooth sterling silver rim. 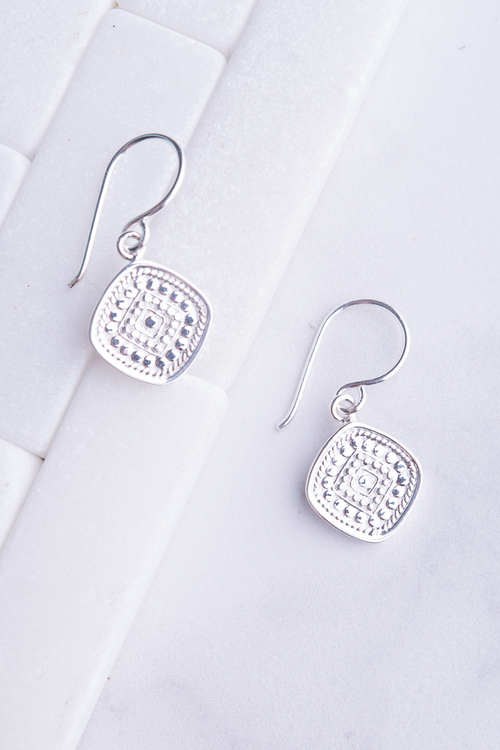 Sterling silver beaded cushion drop earrings with french wire and smooth sterling silver rim. 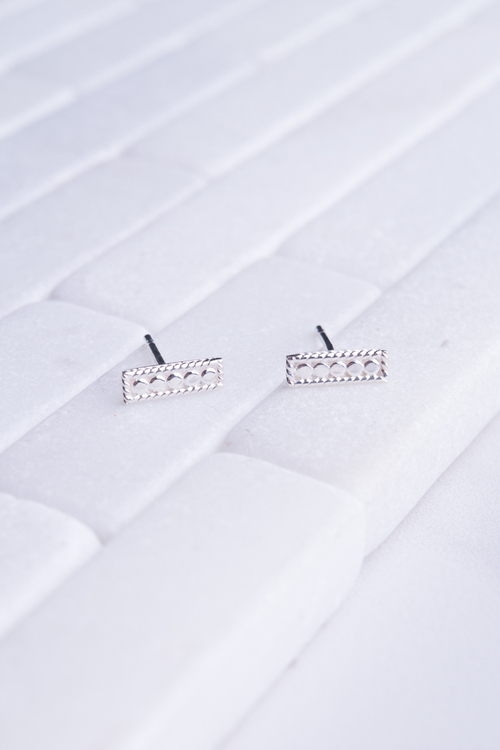 Sterling silver petite bar stud earrings on a sterling silver post. 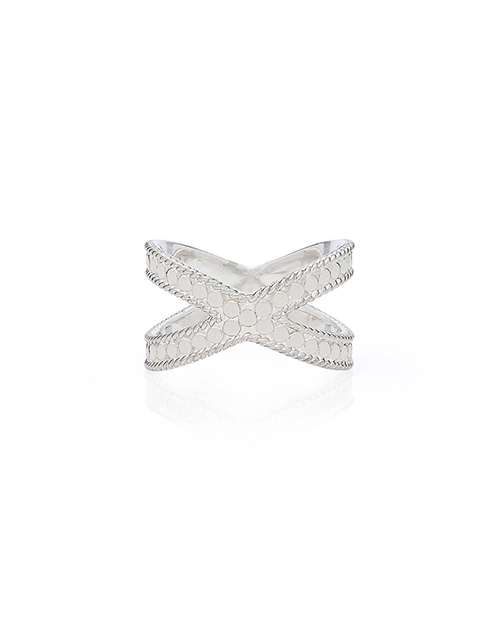 Wire-rimmed gold-plated single cross ring. 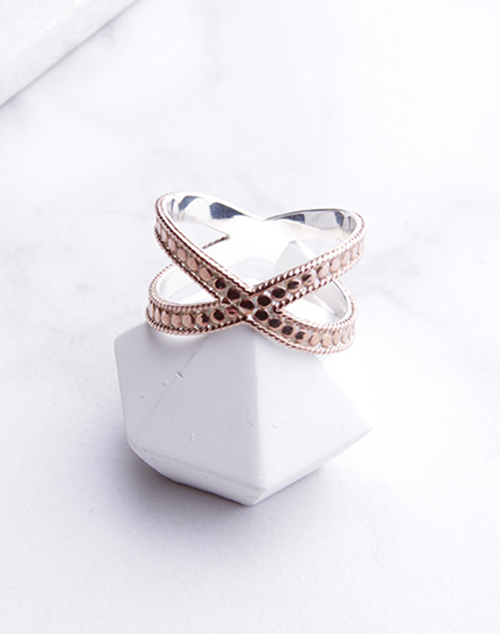 Wire-rimmed rose gold-plated single cross ring. 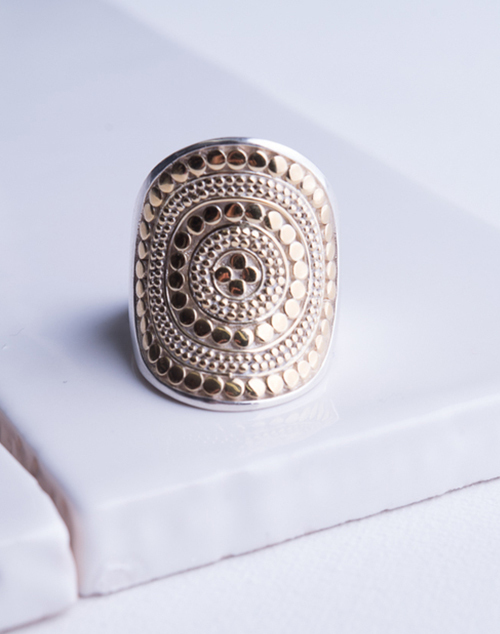 Gold-plated beaded saddle ring with smooth silver rim and sterling silver band. Handmade in Bali. 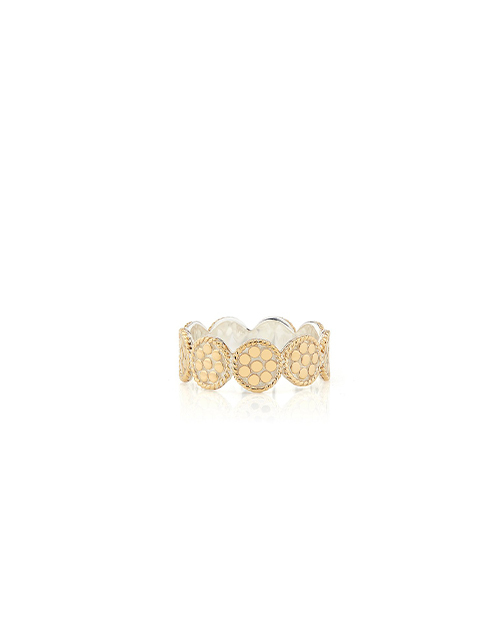 Gold-plated beaded circle band ring. 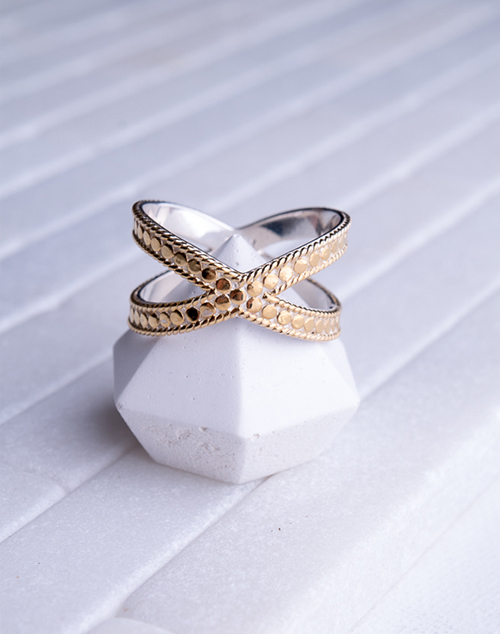 Because your story never ends, build your collection to reflect your unique experience. 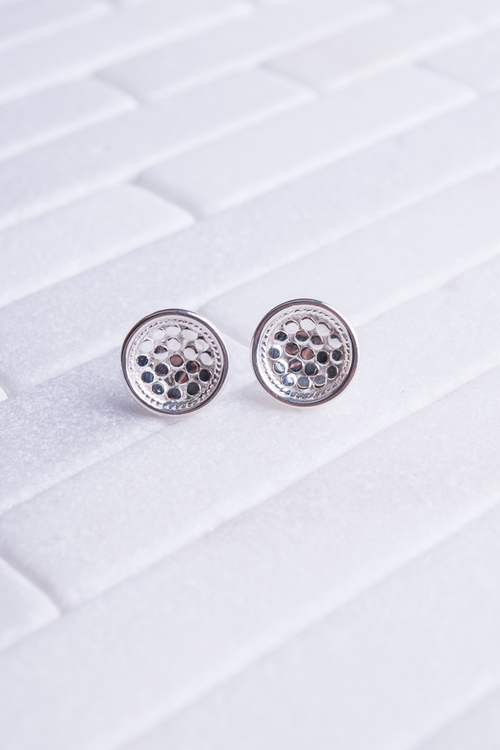 Discount applied automatically at checkout. 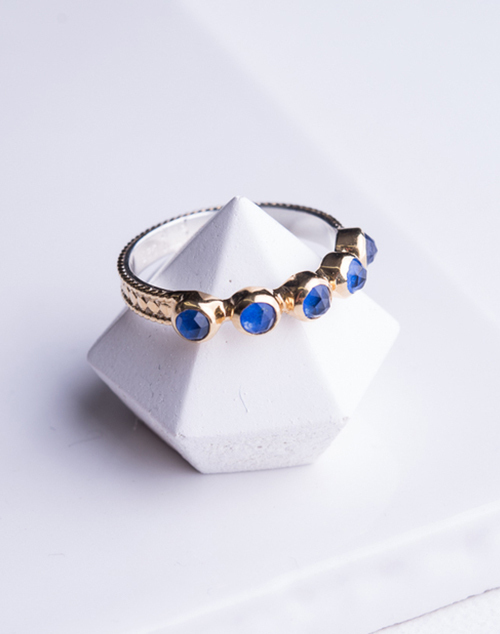 A gold-plated lapis round skinny band ring. 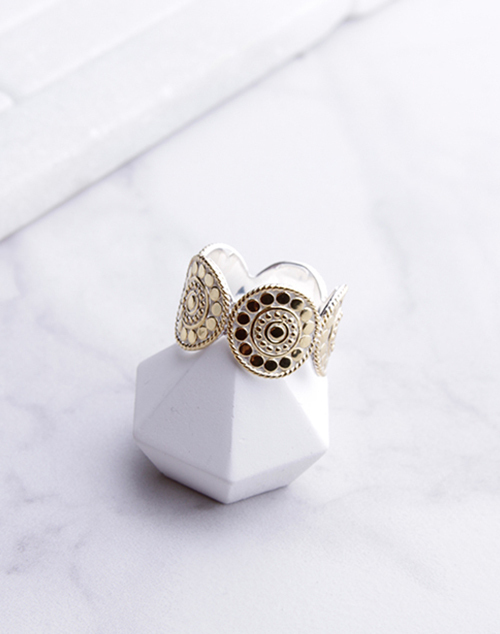 Because your story never ends, build your collection to reflect your unique experience. 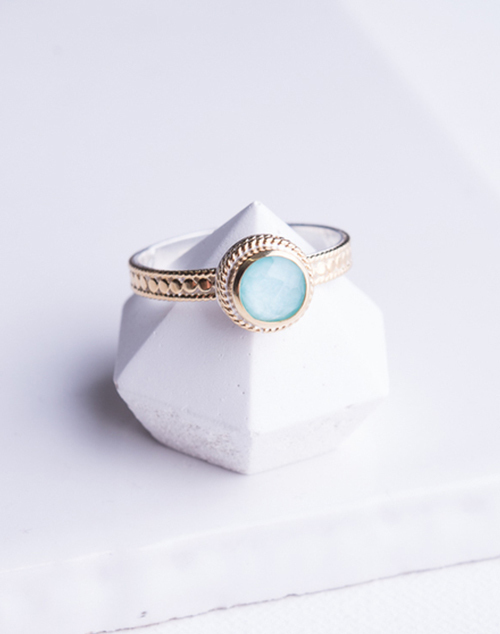 A gold-plated turquoise round skinny band ring. 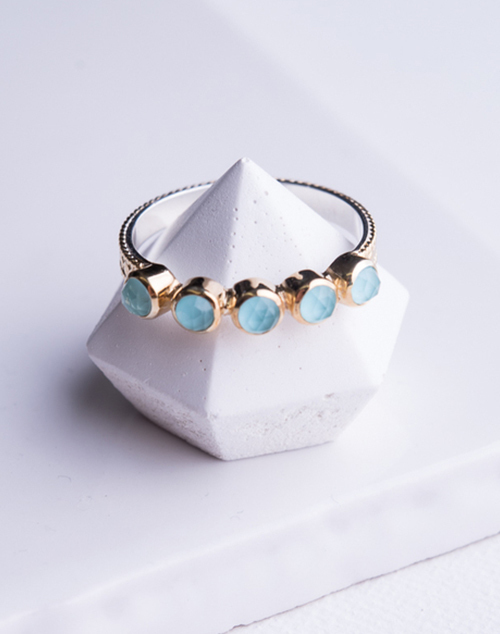 A gold-plated turquoise multi-stone stacking ring. 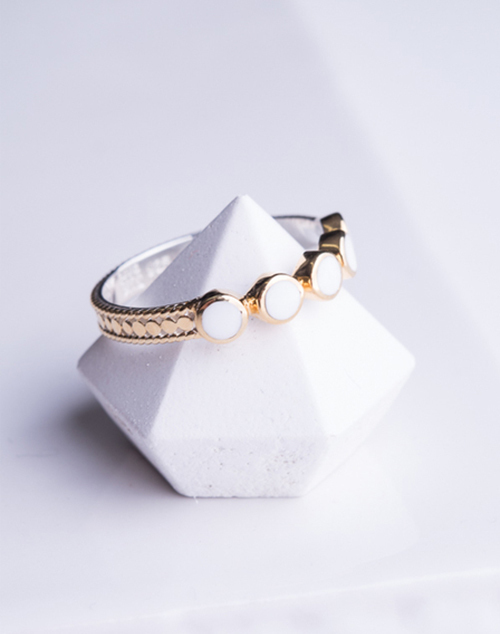 A gold-plated white agate round skinny band ring. 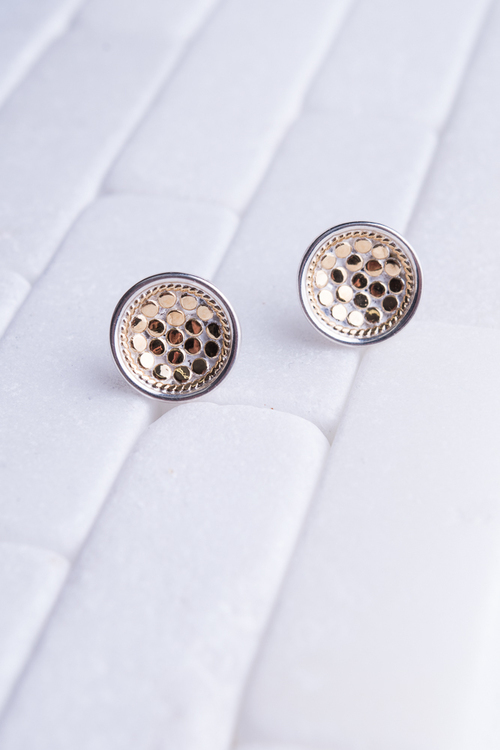 Gold Gold-plated dish stud earrings with smooth silver rim on sterling silver post. Handmade in Bali.